SIUE Dining Services provides students, faculty, staff, and the surrounding community with quality food and services at a reasonable value. Dining Services aims to achieve variety, flexibility, convenience and creative menu development on a daily basis. 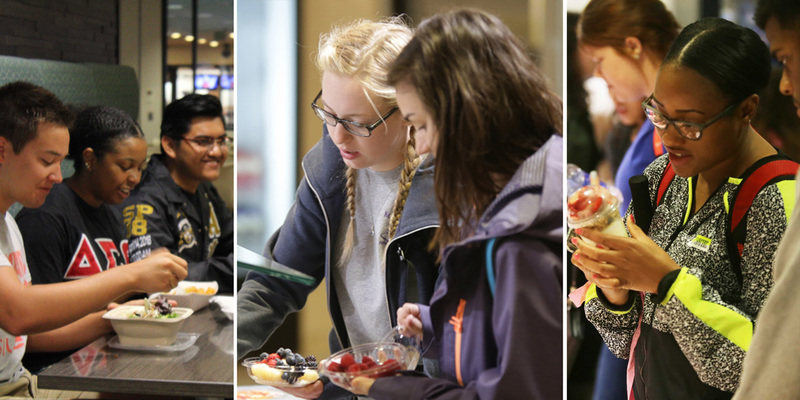 SIUE offers various progressive dining venues, including a contemporary food court, table service restaurant, catering services, café’s, kiosks and convenience stores. Dining Services takes pride in achieving excellence and answering the demands of a growing university, while maintaining fiscal responsibility and integrity.